Saturday 19 and Sunday 20 August Shannons Cars, Bikes & Coffee at Big Boys Toys Exhibition Park Mitchell 9:30 to 2:30 both days. Sunday 27 August Silverwater Motor Festival, Silverwater Park, Clyde Street. Sunday 10 September Super Heroes Classis Cruise to support Camp Quality. Departs Mawson Playing fields. Monday 11 September Club Meeting 7:30 on Raiders Club Weston. Saturday 17 September UGLY Bartender of the Year Car Show Thoroughbred Park ACT to support the Leukaemia Foundation. Contact Tracey Wilson 0404131395 or Arthur Wilson 0422 981 864 for further information. 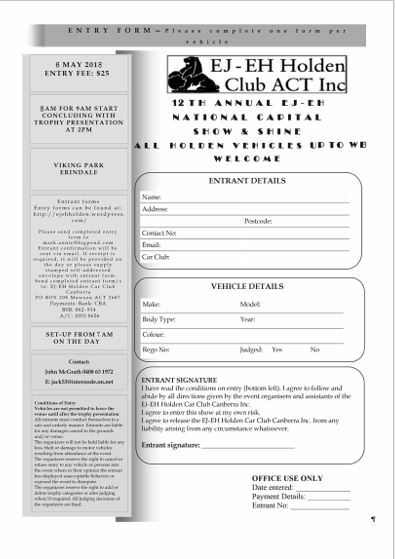 Sunday 24 September ACT Holden Day. Sunday 1 October Forbes Motor Show. Monday 8 October Club Meeting 7:30 on Raiders Club Weston. Saturday 28 October catch up with the Sydney EJ EH Club. 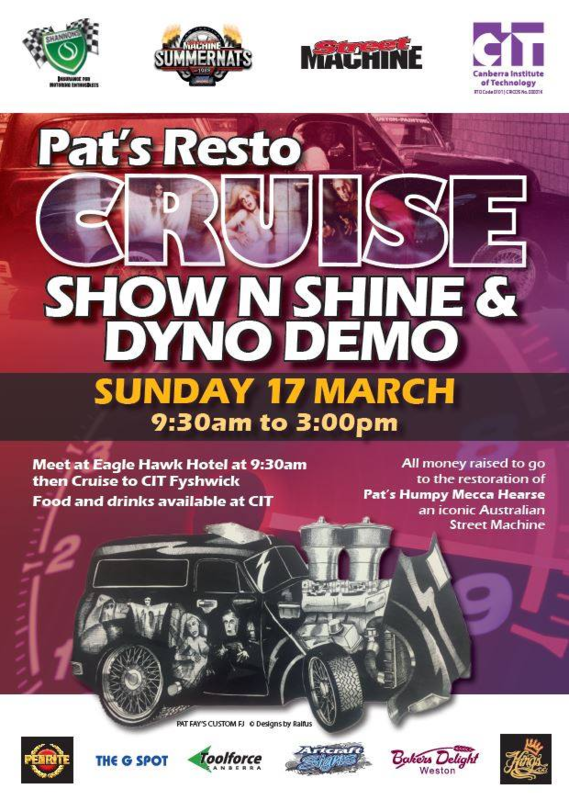 Meet at 9:30 for a 10 am departure at the IBIS Eaglehawk 1222 Federal Hwy Service Rd, Sutton NSW 2620. Then will be cruising through Bungendore and then on to Braidwood for lunch at one of the local pubs, returning via Queanbeyan back to the IBIS. 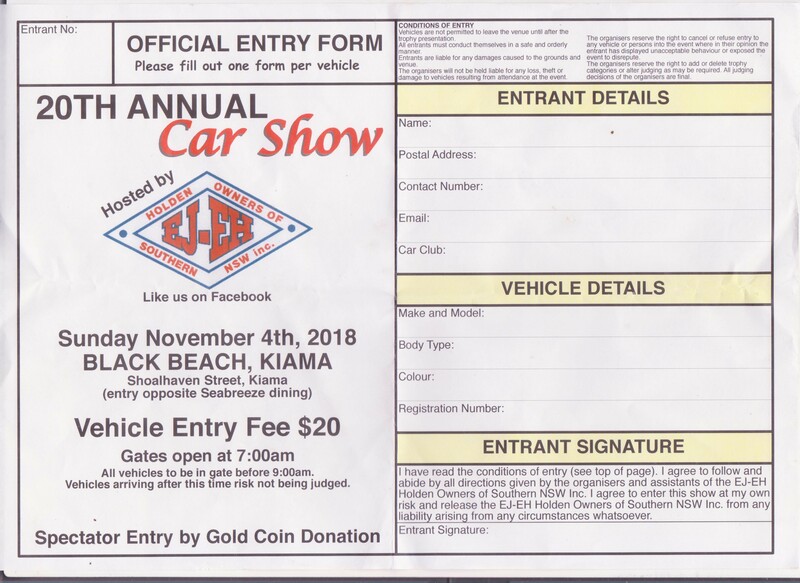 Saturday 4 November Cooma Motor Fest. 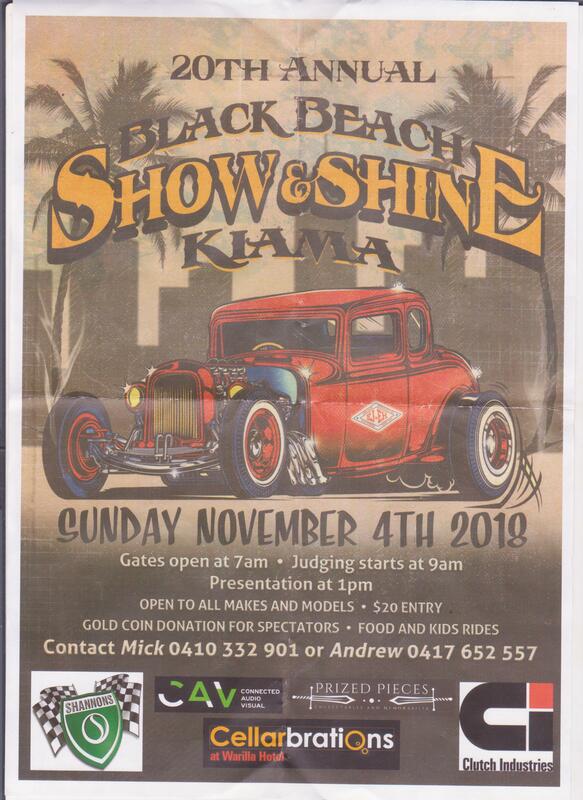 Saturday 4 and Sunday 5 November Classic Yass, Banjo Patterson Park Yass (car show is on Saturday). 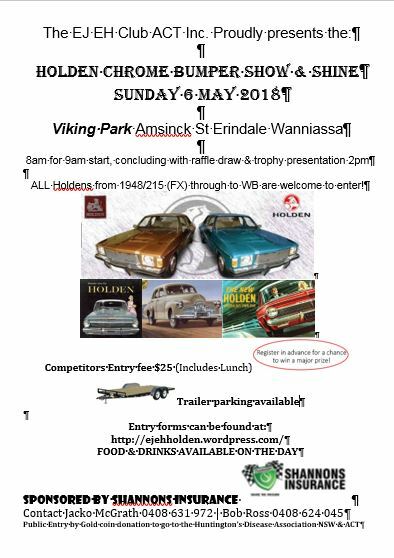 Sunday 5 November Canberra Swap Meet Exhibition Park in Canberra. Sunday 3 December Club Christmas Party. Lunch at the Jerrabomberra Hotel. 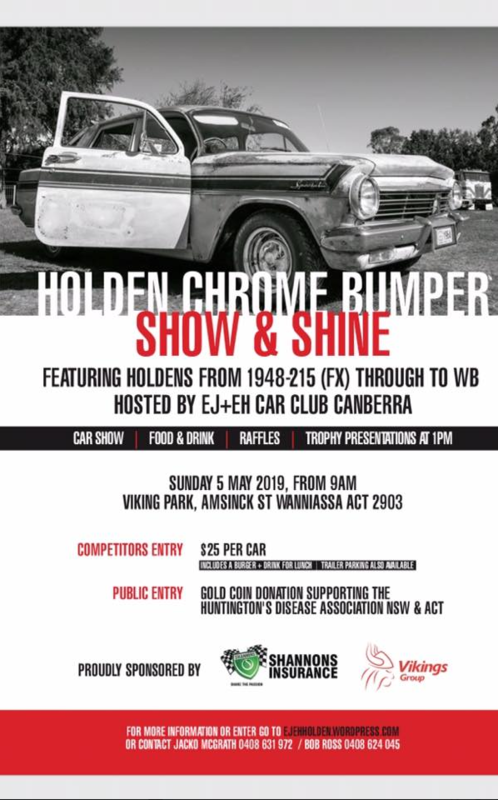 Hi everyone, for EJ EH Holden Club Members, on Sunday 25 June there is a run to Harvey’s Garage with the Veteran Car Club 11:30 am to 2 pm. BBQ will be provided. Call Harvey for further details on 0408971884.